Immunization programme was launched in India in 1978. Immunization coverage is not uniform in all the States. More efforts are needed to achieve universal immunization in the whole country. UIP should be a part of an integrated MCH programme and should not be considered as an isolated programme. Disease surveillance is not satisfactory and to ascertain the impact of immunization surveillance system must be strengthened. The review of the National Immunization Programme of India in 1989 focused attention to the issue of storage and distribution of vaccines. Cold-chain equipment such as walk-in-coolers (WICs), deep freezers, ice-lined refrigerators (ILRs), and vaccine carriers proliferated after the introduction of the universal immunization program (UIP) but the available units fell short of the official targets in 1988, especially ILRs (7500 proposed and 2876 available) and vaccine carriers (250,000 proposed and 35,500 available). Some states had over 6 months of supplies of vaccines whose management posed problems of losing potency: oral polio virus (OPV) potency was acceptable in 63% of stock in 1988. Syringes, needles, stoves, pressure-cooker sterilizers, dial thermometers, and refrigerator repair kits were in short supply especially at the primary health care (PHC) level. Only 1/3 of subcenters had sterilizers and 58% had vaccines carriers. Logistics management on the state level required provision of vaccines based on previous use and eligible population with even distribution throughout the year. On the district level WICs were needed for every district with 1.5 million inhabitants. Recording of vaccine requirement, utilization, and storage would aid target allocations and avoid wastage. On the institutional and PHC level an ILR and a transporting vehicle was needed. The number of women and children eligible for immunization had to be calculated based on real population figures. Cold-chain capacity of 30,000-40,000 vials was required for a district as well as about 500 reusable syringes and needles a year along with vaccination cards exceeding the number of women and children by 10% for recordkeeping at the PHC center. Immunisation coverage evaluation was carried out in 9 Blocks of West Bengal amongst 12-23 months old children. Fully immunised status of 5 blocks were under 16%. Poor measles vaccine coverage thought to be the reason. Other vaccine coverage was more than 60%, in most of the blocks excepting Hilly Balurghat and Tamluk. "Child ill-not brought" was the important reason for immunisation failure in most of the blocks. Health information system is not well developed in most parts of the country. We propose to use locally available data on immunization performance so as to make them more informative and useful for implementing and supervisory personnel. Reclassification of data according to estimated number of eligibles, monthly performance and age of children immunized can given impressions about coverage, sustainability of services and their quality. Similarly, area and institution-wise data can be used to identify places needing more attention. Active use of available data will help in improvement of vaccine coverage and control of target diseases. In 1990, the Universal Immunization Programme (UIP) was able to do fairly well in Assam and West Bengal in India. Immunization coverage rates varied as low as 59.5% for measles in Assam and 69.63% in West Bengal to as high as 80.13% for BCG and 104.73% respectively. All primary health centers provided immunizations on Mondays in Assam and on Wednesdays in West Bengal. Eventually district and block health officials extended these fixed days to subcenter and village levels. Further major hospitals provided them daily. Moreover health workers from various agencies conducted 2 special immunization sessions in October, November, and December 1990 at 1 month intervals in areas with a large uncovered child population so as to fully immunize children against certain diseases. 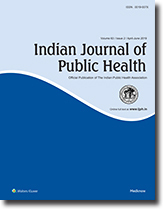 Obstacles prevented adequate immunization coverage in Calcutta, West Bengal so by April 1990 DPT3 coverage was only 29% and that of measles 13%. Thus the Calcutta Municipal Corporation arranged 3 immunization campaigns lasting 6 days in october, November, and December 1990 in which health workers from 4 different agencies vaccinated the children. Measles coverage increased to 61%. In 1990, health workers conducted immunization activities in tea gardens where many people worked in Upper Assam such as fixed days and outreach to neighboring areas. Both the Assam and West Bengal State Governments gave UIP a high priority such as the formation of a task force on UIP. Further laborer groups helped launch a campaign in West Bengal. The Muslim leader of Calcutta encouraged all Muslims in West Bengal to become immunized. Moreover organizations including the Ministry of Social Welfare and Lions and Rotary Clubs joined the Ministry of Health in immunization efforts. The UIP used folk media and the mass media to disseminate information and educate the public about immunizations. The Project Officer for UNICEF covered UIP sustainability issues such as political commitment and maintenance of the cold chain. The Central Government of Calcutta, India aimed to immunize 85% (85,262) of the city's 12 month old infants against polio, diphtheria, measles, tuberculosis, pertussis and tetanus. The Universal Immunization Program (UIP) achieved this target 3 months earlier than intended. In fact, at the end of December 1990, it achieved 110.6% for DPT3, 142.16% for OPV3, 151.96% for BCG, and 97% for measles. UIP was able to surpass its targets by emphasizing team work. Government, the private sector, UNICEF, and the voluntary sector made up the Apex Coordination Committee on Immunization headed up by the mayor. The committee drafted an action plan which included routine immunization sessions on a fixed day and intensive immunization drives. Further the involved organizations pooled together cold chain equipment. In addition, the District Family Welfare Bureau was the distribution center for vaccines, syringes, immunization cards, report formats, vaccine carriers, and ice packs. Health workers administered immunizations from about 300 centers generally on Wednesday, National Immunization Day. Intensive immunization drives focused on measles immunizations. UIP leaders encouraged all center to routinely record coverage and submit monthly progress reports to the District Family Welfare Bureau. The Calcutta Municipal Corporation coordinated promotion activities and social mobilization efforts. Promotion included radio and TV announcements, newspaper advertisements, cinema slides, billboards, and posters. The original UIP plan to use professional communicators to mobilize communities was ineffective, so nongovernmental organizations entered the slums to encourage people to encourage their neighbors to immunize their children. Further Islamic, Protestant, and Catholic leaders encouraged the faithful to immunize their children. A UNICEF officer noted that this success must be sustained, however.